Since the debut of the viral WhatsApp end-to-end encryption a couple of years ago, the notorious messaging platform has promised its users that with the complete encryption feature all of their messages and chatting sessions are going to be limited to only the sender and the receiver involved in the messaging session. 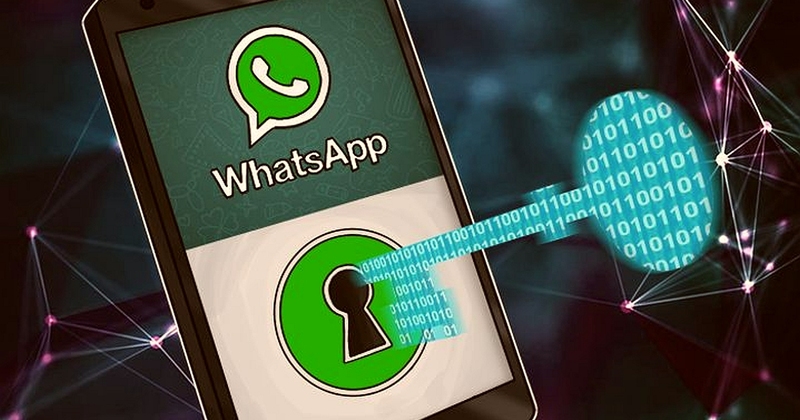 However, it seems that the popular encryption of the WhatsApp is going to be compromised due to some complications related to the relatively new WhatsApp online cloud that enables the users to create a backup of all of their data and information. As a result, WhatsApp decided to release an official warning in order to note that if the users decide to back up their messaging sessions or any other data on Google Drive, the encryption feature of WhatsApp may not be valid as the messages, for instance, will be prone to any one to read. The most popular messaging app WhatsApp Messenger has decided to provide the users with a complete encryption feature that’s only valid as long as the messages are under the umbrella of the WhatsApp platform; so it only makes sense that officials at the WhatsApp corporation have deemed it necessary to alert the users that moving and creating a backup outside of the realm of the WhatsApp universe is going to terminate the total encryption imposed upon the chatting sessions. In fact, Google and WhatsApp have created a partnership that is aimed to allow the Android users the option to store their WhatsApp various information on an unlimited Google online cloud. Consequently, the new partnership between the two sides has both its ups and downs that somehow force the users to willingly compromise their own privacy and encryption status for the sake of not losing their data for good. Unfortunately, the one month old partnership with Google doesn’t seem to abide by the end-to-end encryption of WhatsApp as the popular messenger has made it crystal clear that storing any sensitive or confidential information on the Google cloud is not favorable for the users who seek a total protection for their Whats-App information. Any data or problematic information on the Google Drive is not going to be only a prey for WhatsApp, Facebook and Google but they’ll also be prone to any hackers, cyber criminals, and governmental agencies and entities. Sadly enough, the partnership with Google that was supposed to be an aid to the WhatApp users turns out to be a major deficiency in the massaging system; many companies and starting initiatives have banned its users from using the new WhatsApp external drive as the new service is missing a major data protection feature and could also jeopardize businesses and break major privacy laws.